Hot Mix Asphalt (HMAC) – Hot Mix Asphalt, or as it is commonly referred to as, HMA, is a mixture of materials used for asphalt paving. The mixture, which is typically mixed in a HMA depot, consists of around 95% stone, sand and gravel and is bonded together using asphalt binder, which is a by-product if crude oil processing. The binding agent is heated and then the other materials are mixed in, and resultant mixture is churned and kept at a heated temperature until use. This mixed, heated compound is then loaded onto trucks that transport it on-site where the mixture is dumped into a paver’s hopper which immediately spreads the paving material and this is compacted by a heavy metal roller. All this happens in a matter of minutes to ensure the whole process takes place while the asphalt is still hot. HMA is what is used in most of asphalt installations including roads, pavements, parking lots, and so on. Warm Mix Asphalt (WMA) – Warm Mix Asphalt is similar to HMAC, except that the temperature required for manufacture is reduced by adding emulsions, waxes or zeolites to the mixture. The process is more beneficial for both the environment and the workings, as it consumes less fossil fuel and reduces fume emission. Cold Mix Asphalt is emulsified in soapy water before mixing, which eliminates the need for such high temperatures entirely. However, cold mix asphalt is not as durable as WAM or HMAC, and it is only used for low-traffic areas and to patch other forms of asphalt. 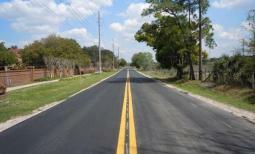 Cut-back asphalt – Cutback Asphalt is a mixture of asphalt cement and petroleum solvents. The most common types are classified as slow cure and medium cure. Cutbacks have viscosities that are typically lower than that of neat asphalt. After a cutback is applied, a portion of the solvent will eventually evaporate leaving only the asphalt cement after it has cured. Their uses included dust control, pavement maintenance, construction (chip seal) and cold mix patching. Cut-back asphalt has been illegal in the United States since the 1970s, but is still used around the world today. This type of asphalt is the least environmentally friendly of all asphalts, causing significantly more pollution. It is created by dissolving the binder in kerosene before mixing it with the aggregate. 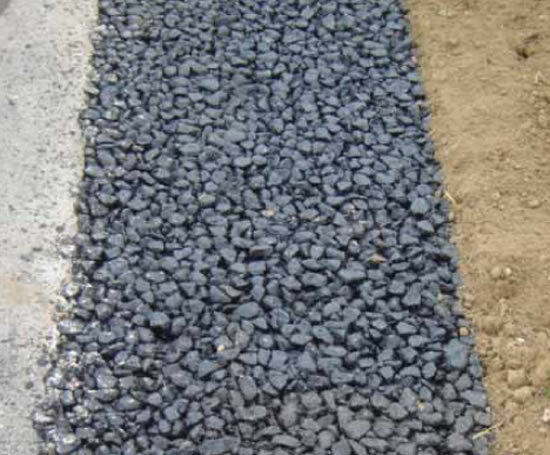 This reduces the viscosity of the asphalt while it is layered and compacted. Later, the kerosene evaporates, leaving a hard surface. 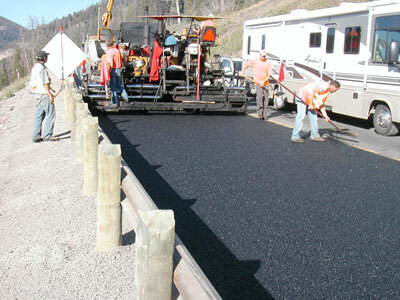 Mastic asphalt – Mastic asphalt, or sheet asphalt, has much lower bitumen content than rolled concrete. It is mostly used in roofing and flooring, but is still sometimes used in roads and footpaths. Another variety of mastic asphalt is stone mastic asphalt (SMA) which has anti-skid properties and is devoid of air pocket. Unfortunately, if laid improperly, SMA can cause slippery road conditions, but it is still becoming popular as an alternative to rolled or plain mastic asphalt. Open-Graded friction course (OGFC) – Open-Graded friction course asphalt is a form of flexible pavement that is constructed with polish-resistant aggregates which has outstanding frictional characteristics. The texture of this form of asphalt improves tire contact with the pavement and reduces the potential for hydroplaning in wet weather. OGFC is only used as a top layer for other forms of asphalt and is thus more easily folded than other types of asphalt, and is not recommended for use in intersections or any location where there are frequently heavy turning movements, such as in ramp terminals. Pitch-black road that just looks great against a very colorful background. Reduces Plant Fuel Consumption – Studies have shown that running your plant at 35° F – 100° F lower will reduce fuel consumption by an average of 15%. Reduces VOC Stack Emissions – The EPA has found that volatile organic compounds (VOC) released through the stack of an asphalt plant are well within required EPA guidelines. The use of WMA has been shown to reduce these emissions between 50-90%. Easy to Compact – WMA has been found to be easier to compact, especially very stiff mix designs. Some contractors have eliminated a roller from the paving train. This saves money, time and energy resources. 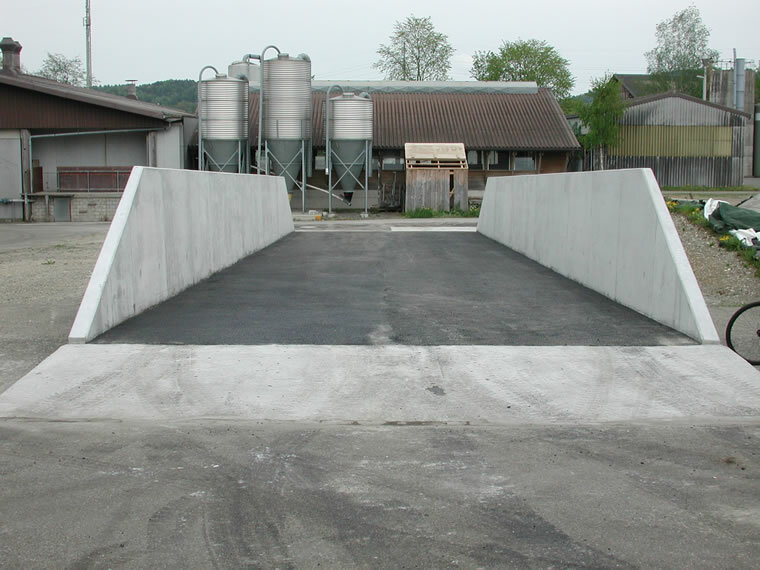 Increased RAP Usage – The reduced viscosity of the WMA allows for easier coverage of the RAP and because the asphalt cement is not being aged at higher temperatures, the virgin asphalt binder may help to rejuvenate the inherent binder of the RAP. The increased use of RAP is a savings to contractors, agencies, and creates sustainable pavements by reducing the need for petroleum and virgin aggregates. Fume and Smell Reduction – The largest source of emissions from an asphalt plant is the result of fuel combustion during the drying and heating process. The decrease in fuel consumption is directly correlated to reducing these emissions. In addition, reducing temperature at load out and paving has a direct correlation to fumes at the plant and asphalt pavers. Better Work Environment – The reduction in temperature behind the paver makes a more comfortable environment for employees and government workers. Reduces “Aging” Asphalt Cement – The heating of asphalt cement oxidizes the material for every 25° F it is heated. By decreasing the temperature needed to produce WMA we may be decreasing the “aging” of the asphalt binder and thereby creating longer lasting pavements. Durability – Mastic asphalt is the premier bituminous waterproofing and surfacing product available. Unlike a traditional tarmacadam surface, which could last 5-10 years, mastic asphalt has the ability to last up to 60 years. The polymers used in mastic asphalt improve elasticity in both hot and cold weather conditions, which help to maintain its structural integrity and durability. Waterproof – Mastic asphalt is unaffected by water and provides a proven seamless waterproofing and tanking material that is second to none. Cost-effective – Because it outlasts all other bituminous materials mastic asphalt doesn’t need replacing as often, thus delaying on its replacement for many years. Health & Safety – Unlike brick and block paving, mastic asphalt is laid in a continuous film without the need for joints, which means that accidents such as slips, trips and falls are reduced. 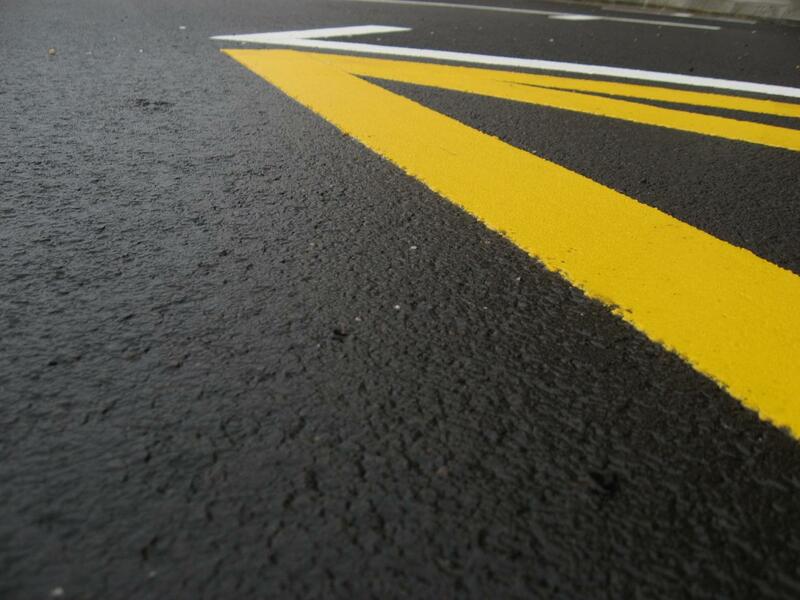 Safe – Mastic asphalt provides a safe non-slip surface for pedestrians and non-skid carriageway for vehicles. Maintains its Appearance – Mastic asphalt can also be made fuel and acid resistant and can be cleaned with pressure water jets without detriment to the surface, unlike other bituminous surfacing materials, which can be very susceptible to water damage. Environmentally Friendly – Mastic asphalt is a potentially 100% recyclable product and is classified as non-toxic. Design Flexibility – Mastic asphalt in its molten state can be molded to any irregular shape and be laid around any obstruction in-situ. Faster Project Completion – Mastic asphalt can be laid quickly over large areas when supplied by hot charge deliveries. (The Tyne Tunnel 12000 m2 was completed over three weekend closures). Smaller contracts can be supplied in block form for re-melting the required quantity on-site, whilst larger contracts can be supplied via a fleet of heated and stirred hot charge transporters. Designing with Color – To the architect or project manager mastic asphalt offers limitless scope for design opportunities. It can be specified in almost any color, texture and design and is an ideal choice where general aesthetics have to be combined with long-lasting waterproofing or paving. Heavy rainfall – The open nature of the pavement will allow water to permeate and prevent splash and spray. This also reduces the risk of vehicle hydroplaning, which can be a serious danger in certain areas where drainage is an issue. In addition, the storm water runoff from OGFCs is typically cleaner than that of dense graded pavements. High Friction Needs – OGFC’s can also be used to increase safety in scenarios where high surface friction is needed to prevent accidents. High Volume/High Speed Traffic – Use of OGFCs in a high traffic volume or high speed setting is also beneficial, as this helps keep the pores of the pavement clear. In addition, these often represent some of the areas where their noise reduction properties will provide the most benefit. The tendency becomes slick and soft in hot weather and a certain amount of hydrocarbon pollution to soil and groundwater or waterways. Environmental regulations. Cutback asphalts contain volatile chemicals that evaporate into the atmosphere. Emulsified asphalts evaporate water into the atmosphere. Loss of high energy products. The petroleum solvents used require higher amounts of energy to manufacture and are expensive compared to the water and emulsifying agents used in emulsified asphalts. Increased material cost associated with higher asphalt binder and filler contents, and fiber additive. Increased mixing time and time taken to add extra filler, may result in reduced productivity. Possible delays in opening to traffic as the SMA (Stone Mastic Asphalt) mix should be cooled to 40°C to prevent flushing of the binder to the surface (bleeding). HMAC is the form of asphalt concrete most commonly used on high traffic pavements such as those on major highways, racetracks and airfields. Used for low-traffic areas and to patch other forms of asphalt. Applied to the road surface, the solvent evaporates, leaving the asphalt cement on the roadway. Benefits commonly associated with this type of pavement include the rapid removal of water from the roadway surface, improved overall skid resistance, and reduced noise emissions.